Luis Orlandini was born in Santiago of Chile, studied at the School of Arts of Universidad de Chile with Professor Ernesto Quezada and later on received a scholarship from the German Government to study with Eliot Fisk at the Upper School of Music in Cologne, Germany. He also took a course at Mozarteum of Salzburgo, Austria. At the present time, besides his career of Concert Guitar Player, he is a Professor at the School of Arts of Universidad de Chile and Professor at the Pontificia Universidad Católica de Chile. In 1989, he received First Award at the International Contest of Music in München, Germany. Since then, he has been performing in well known Concert Halls in Berlin (Philharmonic), Cologne, Rome, Venice (La Fenice Theater), Paris, Madrid (Centro de Artes Reina Sofía), Rotterdam (De Doelen), Danzig, München (Herkules Saal), Geneva, Moscow (Tchaikowsky Conservatory), Tokyo, Houston, London (Wigmore May, Purcell Room, St. Martin in the Fields), La Habana (Teatro Amadeo Roldan), Montevideo, Buenos Aires (Teatro Colon), Lima, etc. Likewise with orchestras in Chile, Peru, Argentina, Uruguay, Ecuador, Venezuela, Cuba, Poland, Check Republic, Germany, Italy and Spain with Directors such as Klaus Arp, Adrian Leaper, David Del Pino Klinge, Maximiano Valdes, Juan Pablo Izquierdo, etc. He has recorded for many radios in Germany and for Record Companies such as Discos Koch Schwann (Music of Joaquin Rodrigo for Guitar and Latin American Music together with Alfredo Mendieta, a flute player), CPO (Complete Cycles of Rossinianas by Mauro Giuliani and Fantasies by Fernando Sor) and for ARTE NOVA the Concert of Aranjuez by J. Rodrigo together with the Philharmonic of Gran Canary (Spain). In Chile he has recorded for SVR seal as soloist, in Guitar duet with Oscar Ohlsen, with the “Cuarteto de Guitarras of Chile” and with the Chilean Symphonic Orchestra. 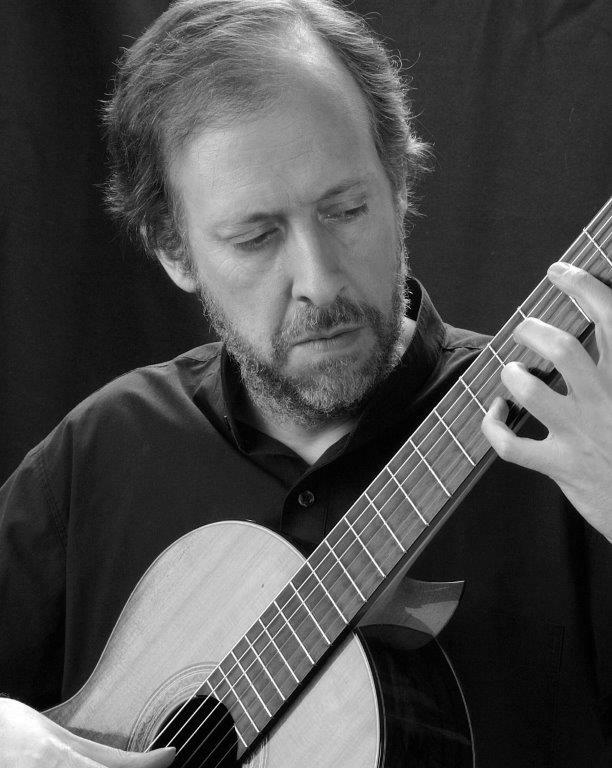 He has presented many musical works created by Chilean Composers, some of them requested by him, and he is also in charge of a Series of Scores Edition for Guitar by Chilean Composers at the School of Arts of Universidad de Chile. He has performed with artists from different countries, has been a member of the jury in several International Contests of Musical Interpretation and he has also been a guest at different Musical Festivals in several countries around the world. In 1996, he received the Critique Award from the Circulo de Criticos de Arte, and the trajectory prize from the Sociedad Chilena del Derecho de Autor (SCD). In 1999, he received the “Domingo Santa Cruz” Award from the Chilean Academy of Fine Arts and in 2007, the President of the Republic Award given by the Government of Chile. In the year 2008, he was elected Member of the Academy of Fine Arts of the Institute of Chile for his contribution to the culture of the country in Musical Arts. At the present time, he continues his career of Guitar Performer. In the last seasons, he has performed in several Concert Tours in Europe and America, and has given Master classes at important Seminars and Festivals. His last CD’s includes SIMPAY, Chamber Music with Guitar, Concert for Guitar and Orchestra by Alfonso Letelier together with the Symphonic Orchestra of Chile, the Suites for Lute by Johann Sebastian Bach (SVR Seal, Chile), “Grande Duo Concertante” together with Pianist Beatrice Berthold (Solo Musica Seal, Germany), Concert for Guitar and Orchestra by Celso Garrido-Lecca, together with the Symphonic Orchestra of Chile (Sello Autor, Spain) and a CD together with Guitarist Romilio Orellana (SVR,Chile).